If you suspect mold in your home or office make sure to check into it. Mold can be very dangerous and has been known to make people extremely sick. If you feel you might have mold then make sure to take the proper precautions to make sure you and your family are safe. Do it yourself mold test kits can help. If you feel your home has been contaminated by mold then make sure to take every step necessary to create a mold free zone. There are home mold tests you can use to carry out do it yourself mold inspections. 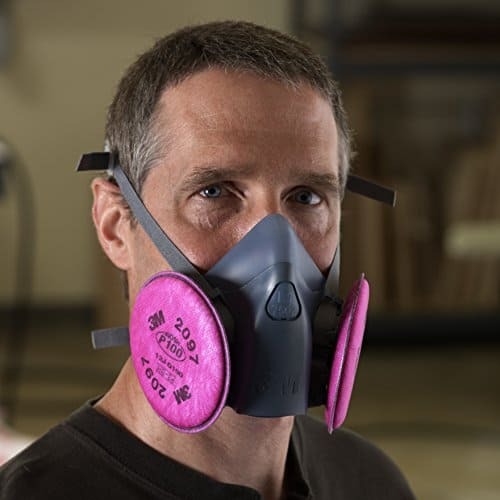 These tests do work, but they work best with paired with a certified mold inspector. A certified mold inspector will be able to tell you if you have mold or not and what type of mold you have. If you work in an office and are not the decision maker, make sure to talk with your supervisor if you feel there is a mold threat in the building. If the supervisor is in disbelief and doesn’t do anything about it, you can always test for mold yourself and if there is mold take it back to the supervisor. They will have to do something after it has been proved true. There are different types of home tests kits for mold out there so make sure to read all of the mold test kit reviews you can to determine which test kit you will want to use. When performing your own inspection you will want to do a walk through your home all the while diagraming the walls and ceilings in each room. Mark any areas that you see water damage or any discolorations. These discolorations are possibly from water leaks. Make sure to document if you have any active leaks. As you walk through make sure to list any odors you might smell and should be concerned about. If you feel there might be an area affected by mold, document how large the area is. Once you assess the area yourself you will be able to determine if you need to use a professional. Keep in mind, if you do feel you have mold it is important to get assistance from a mold inspector to determine what type of mold it is so you can take the proper precautions. The main benefit you will get form a good mold inspection is a safe and healthy home. Do it yourself mold inspections and home mold tests are needed as well as a professional mold inspector. When there is no danger of mold the healthier your home is as mold can make you very ill. The Mold Facts deals in Mold Inspection, Mold Removal and Remediation in Los Angeles. We serve in Los Angeles and nearby areas including Pasadena, Santa Clarita, Santa Monica, Valencia, Oxnard. Contact our mold testing experts at 866-674-7541 to know more.